Skaftafell National Park is located between the village of Kirkjubaejarklaustur and Höfn. 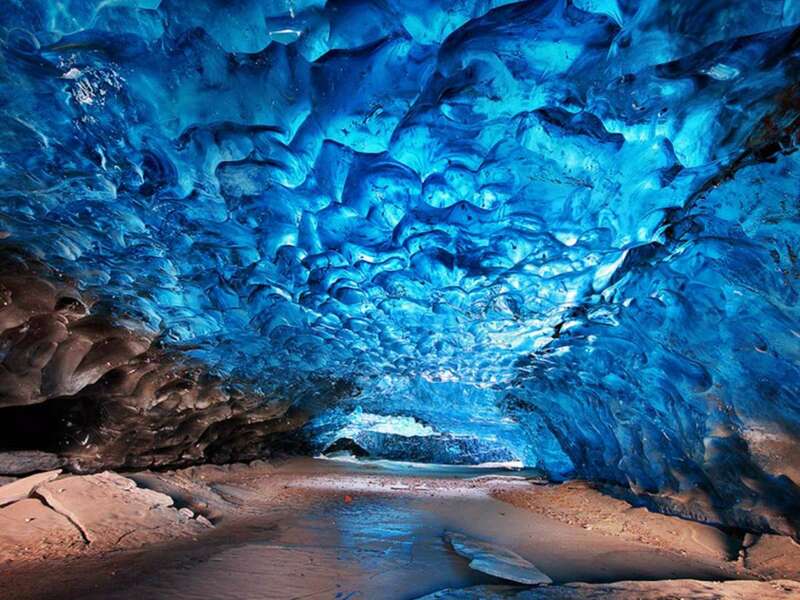 It is the second largest Iceland behind Thingvellir National Park and is located at the foot of the huge Vatnajökull. This National Park is one of the most visited sites in Iceland and has one of the largest island, cafeteria, bathrooms information centers and even showers you can find there. In Skaftafell multitude of trekking can be the most important being those who go to Svartifoss, Sjonarnipa and Skaftafellsjokull. There is a road that leads from the Skaftafell visitor centre to the glaciers. 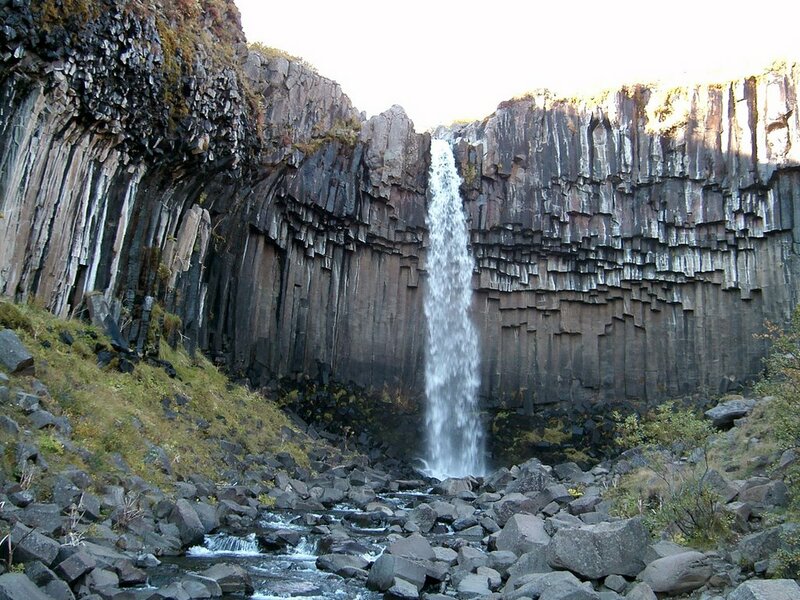 The jewel in the Crown of this park and its main tourist attraction is its small waterfall framed between hexagonal basaltic columns called Svartifoss, or black waterfall call. 250 Meters from the center of visitors through the campsite the Skaftafell mountain slope rises and after this a way down takes you directly to the waterfall. During our trip to Iceland are dedicated a whole morning to visit Skaftafell as the shortest route leading to the waterfall Svartifoss was 4 km with steep slopes. On arrival at the visitor centre you realize that actually is the second most visited Park of Iceland, in fact the highest concentration of parked cars saw it there resulting in even difficult to Park, something that had happened even in Reykjavik. Once there began to rain what half of the team had to stay in the visitor center because we didn’t bring to Helia backpack raining for more than one hour that would last the trip. Saving this setback, the team half way to Svartifoss light step so that the wait was less. Trekking though grade of difficulty 1 (easy) is not so much. Has steep ups and downs that would be more comfortable with trekking poles. But the truth is that this effort is worth the landscapes. Many small waterfalls and streams surround the road to Svartifoss. Once you approach the waterfall really worthwhile road. Svartifoss not noted for great flow that has but for its unique environment surrounded by black basalt columns and a bit of green vegetation giving color to a beautiful picture. The Cies Islands in Galicia, Spain. Sea of Stars on the island Vaadhoo, Maldives. When I return to Iceland, I need to spend more time in the East and North. I briefly visited the Glacier but would like to spend more time exploring the Glacier Lagoon and Skaftafell National Park. Hoff might be my next destination when I go. « Kizhi Island in Russia.